World War II was a troubling time for the USA, but patriotism kept sending soldiers to the battle front until victory was won. During this time George M. Cohan wrote the rousing patriotic song “You’re a Grand Old Flag” for the new musical, George Washington, Jr. Soon it could be heard in social clubs and homes throughout the country. It became the first song from a musical to sell over a million pieces of sheet music. 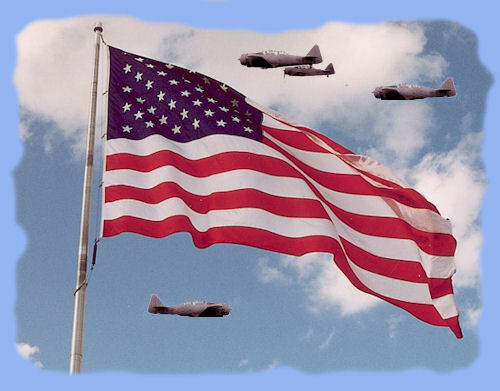 You're a grand old flag, / You’re a high flying flag / And forever in peace may you wave. You’re the emblem of / The land I love. / The home of the free and the brave. Should auld acquaintance be forgot, / Keep your eye on the grand old flag. Just think of the swelling of pride in patriotic bosoms when they heard/sang this song and envisioned “old glory” waving in the wind and rallied support for sons, fathers and husbands fighting on foreign soil to preserve the freedom of their beloved country. The real culprit that undermines the loyalty of this country is the same source that attempts to strip away every fiber of Christianity! More and more, slipping away are the principals that were held in esteem by earlier citizens who knew that it was God who melded this nation together and structured it to honor Him. In some quarters, the “Grand Old Flag” of our country is disrespected as is the “banner” of Jesus Christ who upholds those with honesty and integrity who honor Him. I don’t see how we can separate the two! Of course the leaders of this nation cannot mandate religion; it has to be freedom to choose; but neither can it deny or restrict that freedom as some want to do. They have the choice to have freedom FROM religion, but their choice cannot restrict others who acknowledge that it was belief in God that caused the original “founding documents” to give citizens freedom OF religion. It’s time to hoist the “Grand Old Flag” high, honor and respect what it represents; and it is time to hold God’s “banner” high and thank Him for what He established in the good ole USA! “Old Glory” has been stained with the blood of countless brave members of the armed forces who gave their lives so this freedom could be available for early denizens, for us and for generations to come. The “banner” we Christians raise is blood-stained also. It is stained by the blood of our Savior, Jesus Christ, who gave His life at Calvary so we could live—in freedom! “If the Son therefore make you free, ye shall be free indeed” (John 8:36). Freedom didn’t come to us as a nation without someone paying the price for it. Our freedom in Christ didn’t come to us without Someone paying a price for it. It was “free” to us, but it certainly was not cheap! It cost Jesus His all. When Israel marched on their way to freedom from Egypt, each tribe had a banner (ensign) that represented their tribe. Jesus came from the tribe of Judah which must have had a lion for its “mascot” (Revelation 5:5). When they stopped and made camp until God gave them marching orders, the ensign of each tribe flew over their camp. “Every man of the children of Israel shall pitch by his own standard, with the ensign of their father’s house: far off about the tabernacle of the congregation shall they pitch” (Numbers 2:2). Our “ensign” is the Lord Jesus Christ, and it is our responsibility to lift it high so that His “camp” will always be easily found and any who are looking for Him can find the way to the freedom He has bought for everyone who wants it. “And in that day there shall be a root of Jesse [Jesus], which shall stand for an ensign of the people..” (Isaiah 11:10). “And I [Jesus], if I be lifted up from the earth, will draw all men unto me” (John 12:32). Jesus was “lifted up” at Calvary and gave His life that we could have eternal life. Isn’t it time for Christians to dust off the banner of the Lord and raise it high above the Lord’s camp? Isn’t it time for freedom-loving people to stand at attention to the “Grand Old Flag” and honor what it stands for, to uphold the ‘self-evident’ truths that made it great—truths that our founding fathers took from Biblical principles which had proved to be foundation stones of lasting content? If we don’t take a stand, both as Christians and citizens, how can we expect God to continue to bless us individually and as a nation, and how will future generations know what is truly worthy of their honor? Let us arise, awaken and stand for the only Truth that will endure. If you haven’t read Deuteronomy 28: 1-14, please do! This outlines what the nation/family/person that honors God can expect; it is phenomenal! Great expectations! The blessings encompass every area of life. My grandmother Adams had a “motto” on her living room wall that I still remember. Its message was true then and it is true now. 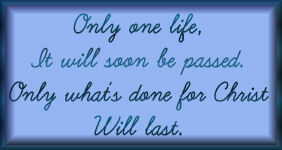 What would the Lord have you do for Him that will last? Celebrate Independence Day for what it represents, for the freedom that is ours to appreciate and enjoy, that was passed on to us at great price. Let its preservation begin in our hearts and continue through our loyal efforts. Pray for the men and women who put their lives on the line every day for this worthy cause! Pray for godly local and national leadership to arise and uphold our "unalienable Rights" - "Under God"! 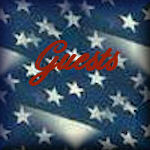 Would you like to send greetings to a serviceman/woman? See this page for ways to do so and other information. 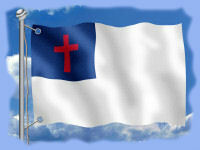 The Christian flag is one of the oldest unchanged flags in the world. It was conceived at Brighton Chapel, Coney Island, New York, Sunday, September 26, 1897, and was presented in its present form the following Sunday by its originator. Today the Christian flag is one of the oldest unchanged flags in the world.